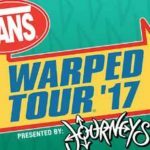 After 24 years, Warped Tour announced that it’ll be calling it quits at the end of 2018. According to Billboard, numerous factors — including a shrinking pool of bands and declining ticket sales — have led festival founder Kevin Lyman to declare the tour’s 24th year its last. In 1995, I had already worked many years in the music business, including spending four summers on the Lollapalooza tour, and I thought, ‘for one summer I would like go out and put on my own show’ mixing music and action sports. With the support of so many people, I have now spent the last 23 summers bringing that show to a city near you. We have brought that show to over 11 million people around the world and watched that same world change while doing so. I have been proud to work with so many artists who have grown to be some of the largest stars in the world. Countless bands have played in hot parking lots and through summer storms for you at some point. Bands like Quicksand, Sublime, L7, No Use for A Name and No Doubt jumped on in the very first year. Touring many summers with my friends and peers like – Pennywise, Social Distortion, NOFX, Bad Religion, The Descendents, Less Than Jake, Dropkick Murphy’s, The Bouncing Souls, Rancid, Flogging Molly, Anti-Flag and The Offspring are just some of my fondest memories. More include, having Blink-182 travel on my bus in 1997 when the world opened up to them and made them the superstars they are today. 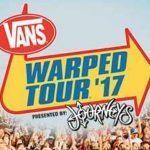 The Vans Warped Tour was the platform to witness the rise of pop punk with Sum 41, Simple Plan, MXPX, New Found Glory and Good Charlotte. 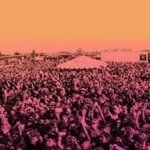 The birth of Emo – with bands like Thrice, Thursday, The Used, Taking Back Sunday, The Starting Line, Motion City Soundtrack and Jimmy Eat World. Fast-forward to the summer in 2005 when TRL and Warped Tour helped launch the careers of Fall Out Boy, My Chemical Romance and Avenged Sevenfold. I witnessed Warped alumni like The Black Eyed Peas, Katy Perry, Big Bad Voodoo Daddy, No Doubt and even Kid Rock play the Super Bowl. I’ve even had the pleasure of seeing Green Day play the Rose Bowl. 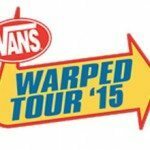 More of Lyman’s statement can be read on Warped Tour’s official site.